With GSA Canceling Trainings, How Can Feds Develop New Skills? Question: Due to budget cuts, the General Services Administration (GSA) announced on Monday that it was cancelling two more conferences in addition to the February cancellation of its signature Training Conference and Expo. These conferences serve as development opportunities for thousands of federal employees. Access to training and development opportunities also serves as a significant factor in federal employee job satisfaction. With training and development budgets significantly reduced, how can federal managers create learning opportunities within their organizations to keep their teams acquiring new skills, growing and in a place of continuous development? With budget cuts underway, federal managers need to creatively provide opportunities for employees to gain new skills and knowledge. One approach is to encourage inquiry and a sense of constant curiosity. Federal managers should support outlets that spark their employees’ curiosities. A seminar series should be established and leaders from fields unrelated to any internal expertise area should be invited to give presentations. Similarly, federal managers could collaborate with each other and lend their knowledge to panel discussions on various topics. Employees would be invited to these forums, allowing them to ask questions and gain new knowledge. In addition, they should be encouraged to conduct informational interviews with individuals in different sectors. Federal managers could allow one to two hours off each quarter for employees to seek out these interviews. The opportunity to hone one’s ability to ask effective questions is invaluable, allowing one to be more articulate and confident in expressing novel ideas, to gain deeper access into issues, and to be in a place of continuous development. Words matter and inquiry is an art that uses language as its muse. In the face of budget cuts to development programs, federal managers must think of creative and dynamic solutions to continue to instill learning and growth in their teams. Instead of solely taking an internal approach to this situation, federal managers are presented the opportunity to think beyond the confines of their establishment. How do you position your teams to leverage their skills and to continue to build upon them? 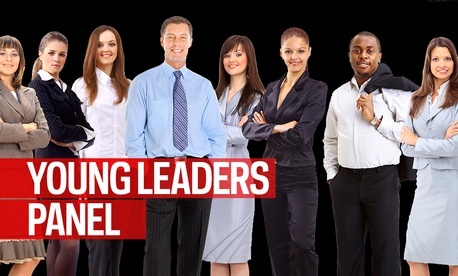 What are some cost-effective ways to approach leadership and personal development? Volunteering and service provide avenues for federal managers to leverage their team's expertise, enabling them to pursue leadership opportunities in their communities. So as federal managers scramble to find new ways to address cuts to development programs, they should identify community partners, issues and projects that grow their department’s human capital. By creating a network of teams to address projects in the community, individuals learn a dual lesson in teamwork and involvement. Whether it's utilizing a team's IT expertise to help a non-profit develop a database or providing the leg work for a Habitat for Humanity project, federal managers can help their teams and individuals grow, learn and flourish as they become more connected stewards with the communities they serve. With training and development budgets reduced across the board, federal managers must begin to look at what resources are already available to them internally: their employees. In day-to-day activities, most employees interact with the same circle of people, whether it’s others in their office, team or agency. Where new learning opportunities and growth may be available internally is through interacting with people outside these familiar networks. For instance, seeking out colleagues who are focused on different projects, working in other offices or who utilize entirely different skill sets. There are a number of ways that federal managers can facilitate these interactions, formally and informally. Formally, federal managers should bring together as many skill sets and offices as possible to work on projects, which leads to individual and team growth (not to mention better products). Informally, project managers can make a concerted effort to bring people from different offices together during lunch or breaks, either by having specific teams eat together regularly (like an informal brownbag) or by using common spaces as places to host inter-departmental gatherings. Random and informal interactions in a shared space like a lunchroom leads to an increased likelihood that inter-departmental conversations will take place, spawning fresh ideas, new perspectives and learning. Federal managers can create meaningful learning opportunities and help their employees develop new skills by establishing mentorship programs. Start by pairing new employees with veteran employees during the onboarding process. Veteran mentors can teach the skills necessary to succeed and other ins and outs of the office. In return, new hires can teach their mentors skills pertaining to changing technologies and share new learning received during updated training programs. Through these relationships, younger employees will develop job skills faster and gain access to other areas of the department through their mentors. In order for this program to succeed, mentors should be held accountable and guidance about their duties as mentors should be provided. One way to do this would be through monthly check-ins between new employees and her or his supervisor during their first six months on the job. In addition, mentors should receive a curriculum and meet with their supervisors to discuss how to administer it. In order to incentivize volunteers to serve as mentors, programs such as “dress down days” or museum passes could be provided to those who volunteer. While this would not completely replace the learning transferred through the canceled conferences, if paired with some other methods, the affected organizations will continue to develop and grow. The Coro™ Fellows Program in Public Affairs is an intensive, nine-month, full-time program that combines exposure to various industries with rigorous, hands-on training. The program uses experiential learning; interviews with private, public and nonprofit decision-makers; and training in critical thinking, communication and project management. These 16 Fellows are participating in the program in St. Louis, where it is operated by FOCUS St. Louis. The program is also offered in San Francisco, Los Angeles, New York and Pittsburgh.